and 3x keys of various shapes and colours. My own set of keys just like mom and dad. Electronic key holder: press on any button to hear fun speech and realistic sounds, learn the colours and see the lights flash, and see the car key pop out. Teaches colours and develops motor skills. 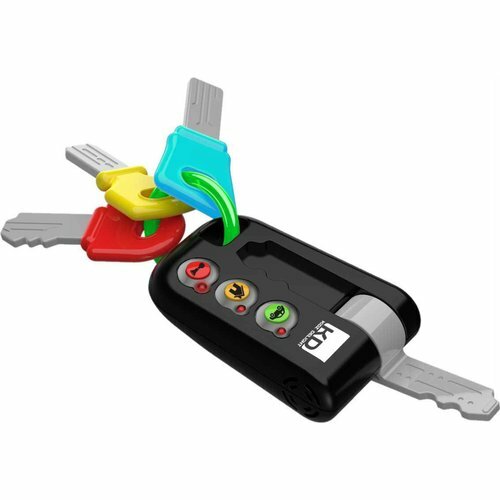 Comes with 1x electronic key holder and 3x keys of various shapes and colours.